Become a certified humanitarian logistics professional by enrolling on CILT’s Humanitarian Logistics Certification Programme. The Chartered Institute of Logistics and Transport (CILT) is pleased to announce the update of the Fritz/CILT award winning Humanitarian Logistics Certification Programme. The Certification in Humanitarian Logistics (CHL) and the Certification in Humanitarian Supply Chain Management (CHSCM) qualifications are the essential credentials required to practice in humanitarian logistics operations. Funded by USAID and working with Fritz Institute, the qualifications have been updated to reflect recent changes in the way aid is delivered by introducing totally new units on Cash Transfer Programming (CTP). The programmes offer the opportunity to develop the new knowledge and skills needed by modern humanitarian logistics professionals. At the World Humanitarian Conference in 2016, the question asked of aid agencies was not ‘why use cash?’, but “why not cash?” The then UN General Secretary, Ban Ki-moon, called for cash transfer programmes to become the preferred and default method of aid. The increasing trend to transfer cash to people in need rather than in-kind commodities allows the recipients of aid to decide what to do with the money. According to recent research from the Centre for Global Development, cash should be thought of as the “first best response to crisis” with 20% more people able to be helped at no additional cost if people received cash first. 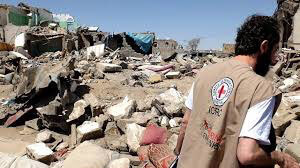 These bespoke and high quality courses are tailor-made to the specifications of aid agencies to meet the precise needs of complex, contemporary humanitarian operations. Provided via on-line distance learning, these courses are delivered by the Institute’s expert training partner, Logistics Learning Alliance (LLA). The courses have been designed specifically for those presently working, with busy schedules often in deep field locations and who require flexibility in their learning schedules. For more information, visit: http://www.hlcertification.org/ or email hlcregistrations@logisticslearningalliance.com and we will send you more details.